Toni C. Antonucci is a professor of psychology at the University of Michigan. Her research focuses on social relations and health across the life span, including topics such as multigenerational relations, adult development and aging. She is particularly interested in how social relations optimize or jeopardize an individual’s ability to face life’s challenges. For her talk at Laurier, Antonucci will focus on social relations from childhood to old age. Specifically, she will share select findings from a 23-year, three-wave study on social relations and health, involving participants aged eight to 93 at the beginning of the study. Antonucci has conducted comparative studies of social relations and health in the United States, Europe, the Middle East and Japan, and is currently collecting the third wave of data for the study on which she is speaking. 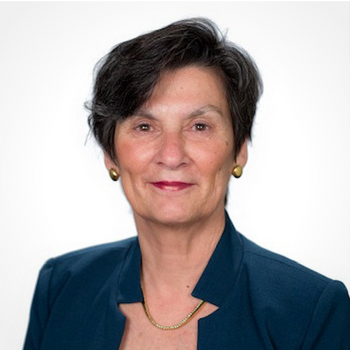 She is past president of the Gerontological Society of America and the Society for the Study of Human Development, secretary-general of the International Association for Gerontology and Geriatrics, and president-elect of the International Society for the Study of Behavioural Development. The lecture will be from 2:30 to 4 p.m. on Nov. 3, in the Bricker Academic Building on Laurier’s Waterloo campus, room BA201. A reception will follow in the Science Building, room N2005. The event is free and open to the public.